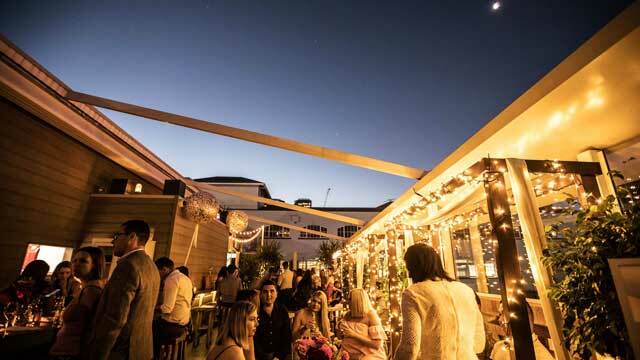 A complete guide to the 8 best rooftop bars in Brisbane in 2019. 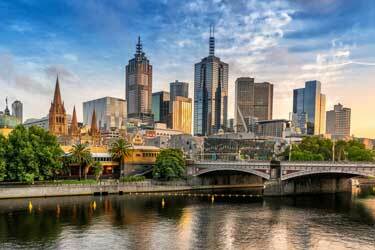 G’day mate! 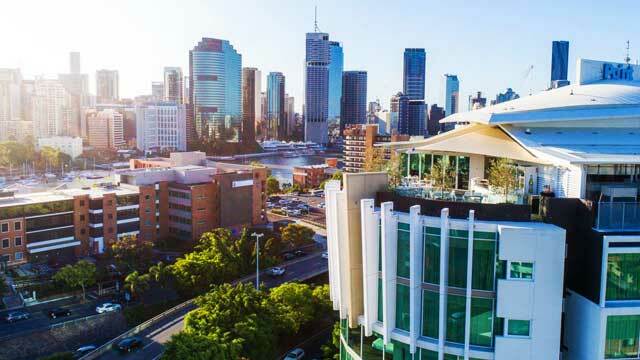 The beautiful combination of high-rise modern architecture and lush green spaces probably look most amazing from the best Brisbane rooftop bars. 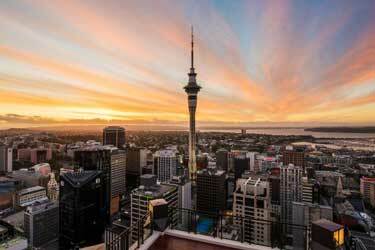 Which we will help you find here, with the ultimate guide to the best roof terraces this city has to offer. 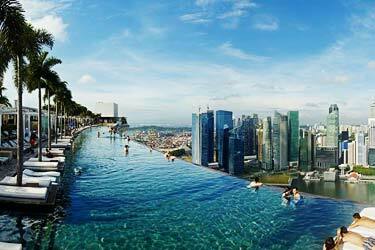 Now, which are the best rooftops in Brisbane? Here you'll find all info you need about each rooftop. Opening hours, dress code, pictures, maps and much more. 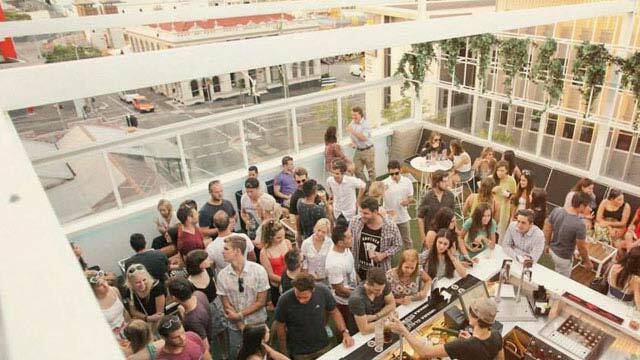 Just scroll down and find the Brisbane rooftop bar best suited for you. 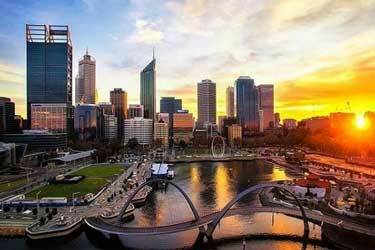 Hopefully we'll answer your question of which is the best rooftop bar in Brisbane? Or use the Brisbane rooftop map in the bottom right corner. Located on top of The Point Brisbane Hotel at Kangaroo Point, this rooftop bar is somewhat a hidden gem. Only open on Fridays & Sundays, there is an exclusiveness to Eagles Nest, both in availability and in feel. From the 12th floor terrace you get lovely views over the Brisbane skyline and the river, especially around sunset, which is absolutely amazing from up here. Decorated as a classic cocktail bar, the ambience is stylish yet relaxed, and with chilled live music it is a perfect rooftop for Friday after works or relaxing Sunday cocktails. 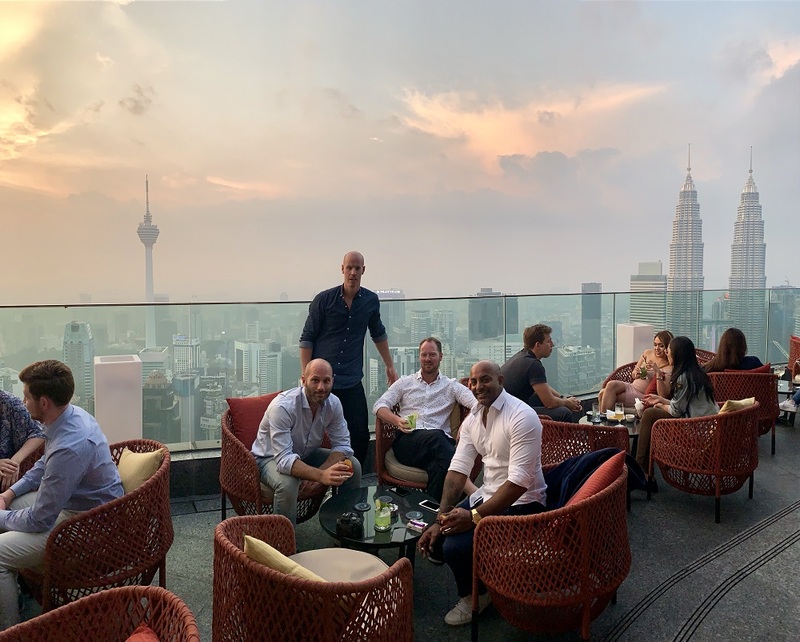 With inspiration from the rooftop bars of Istanbul, along with a touch of Bali and Ibiza luxe party vibes, Eleven Rooftop Bar is a trendy and vibrant oasis, 11 floors above the nightlife hub on Ann Street. The views you get from up here are spectacular, over Fortitude Valley below, the CBD and with Mt Coot-tha and Toohey Mountain's as the maybe best attractions. 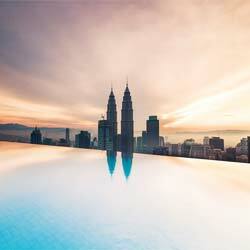 Come for relaxing weekdays and trendy and vibrant party vibes on weekends and enjoy well crafted cocktails and great food in a modern seting. A cozy and modern cocktail rooftop bar, located on top of the fantastic hotel Tryp Fortitude Valley in Brisbane. The rooftop terrace offer a lovely view over Brisbane with the sky scrapers as an impressive surrounding. 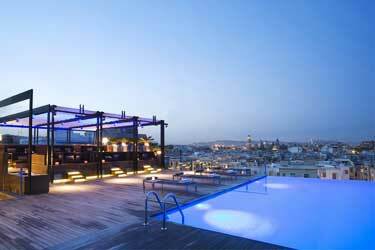 The rooftop comes with a charming setting, colorful but very stylish and with a trendy, fun and unpretentious vibe. From the rooftop bar you can order exciting, creative and very well made cocktails, a nice seletion of wine and beer along with a tasty tapas menu. 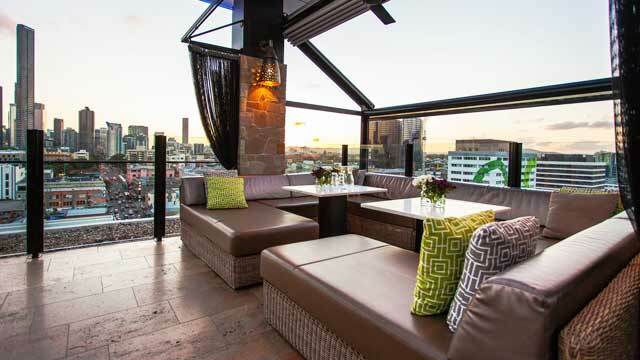 A lush, cosy and sophisticated Brisbane rooftop bar, located above the bustling Ann Street in Fortitude Valley. Quite small in size, the open air fourth floor terrace comes with nice views of the Brisbane skyline. Elixir has a fresh wooden decor and a mix of comfy daybeds and regular bar stools, a very stylish setting that really comes to life at night when all the beautiful lights surrounding the terrace comes on. Enjoy a great selection of both well crafted signature cocktails, crafted beer and cider along with a good set of wines. 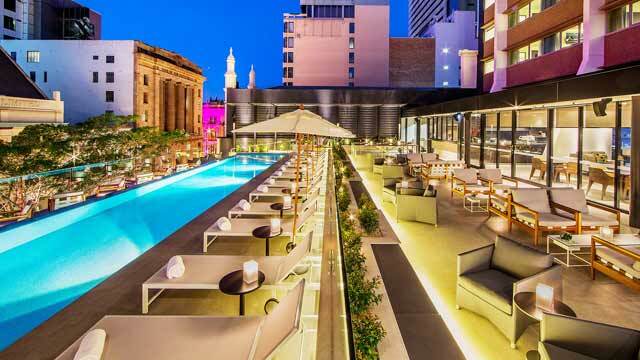 Located on the 4th floor of the superb Next Hotel Brisbane, right in the heart of the Central Business District, this is one of few rooftop bars in Brisbane that comes with an infinity rooftop pool. The pool bar and terrace is open daily from noon and offers a real oasis above the bustling Queen Street below, a perfect place for a relaxing break in a day of shopping, but works just as well for nightly visits also. 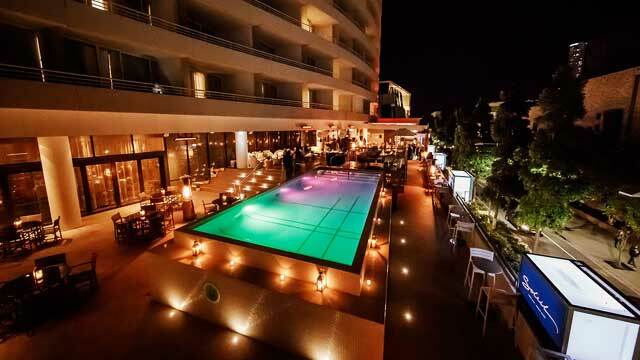 In a chill and relaxing poolside ambience you can enjoy well made cocktails, a large selection of beers and wines along with nice tapas. 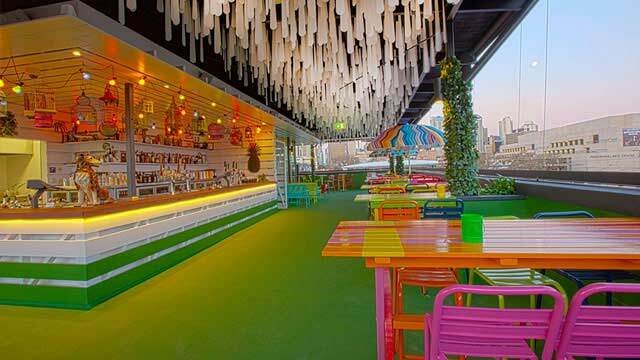 Located on top of The Fox Hotel in South Brisbane, Dandy's Rooftop Bar is probably the most colorful of all rooftop bars in the city. Up at the 5th floor terrace you get a lovely view of the Brisbane skyline and the nearby rooftops. Quirky and retro chic, the interior comes in all colors and the amibence is relaxed backyard vibes. The rooftop bar offers a playful set of signature cocktails, 'home-made' ginger beer along with classic bites like burgers and pizza. A great place for chill afternoon hang out or vibrant 'Soho Sundays'. Has been closed for renovation, opened up again in October 2018. More info to come. 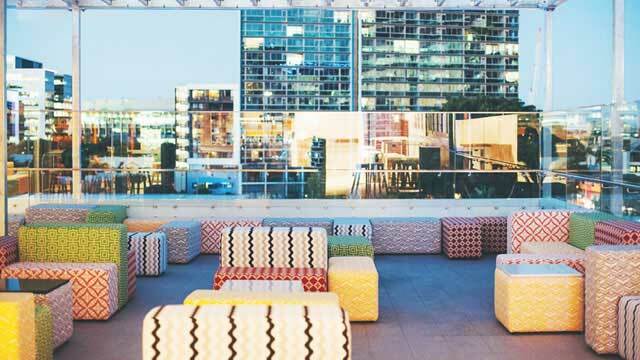 Located on top of the trendy Limes Hotel in Fortitude Valley, this hip rooftop bar was actually the first one in Brisbane. 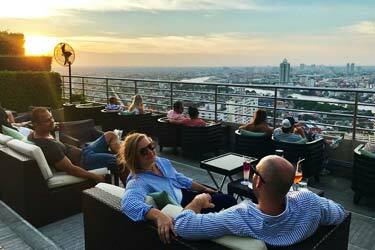 A popular concept in Australia is rooftop cinema, and among the best rooftop bars in Brisbane, it's the Limes Hotel Rooftop Bar that is the best place for this. Just barely above the ground floor to qualify as a rooftop bar, Soleil Pool Bar might not offer the best views in Brisbane, but this luxurious and premiere pool bar has alot of other perks. Located on the podium level at the Rydges South Bank Brisbane the terrace is pool bar by day and cocktail lounge by night. Enjoy Garden Tea daily between 12-6pm, well crafted cocktails and weekends with live music and DJs, all in a sophisticated but relaxed atmosphere. 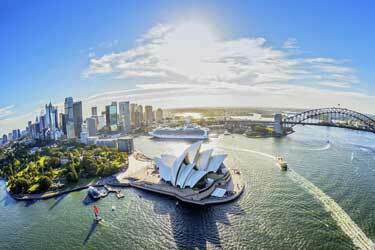 Discover the biggest collection of Brisbane activities, guided tours and skip-the-line tickets. Anything you want you'll find right here. The climate in Brisbane is humid and subtropical resulting in warm summers and a bit cooler winters (around 10-20 degrees’ wintertime). This means that the rooftop bars in Brisbane can stay open all year round. There’s a lot of skyscrapers here making the views magnificent and with cool skylines. Here you will find both luxurious and a little more relaxing terraces to choose from. A typical roof bar in this city, usually have a nice view over the city skyline and with a nice atmosphere. Brisbane is Australia's third largest city and the capital of the state of Queensland, located on the east coast of Australia. The city has been built at the Brisbane river, resulting in many bridges and lot’s of water. Three times in the history of the city it’s been hit by major flooding. As late as 2011, when a cyclone hit Brisbane they had big problems with this.